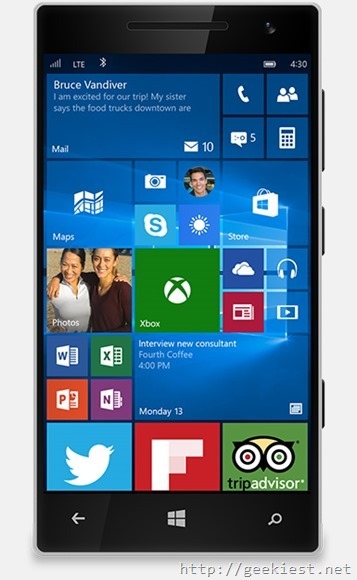 Microsoft yesterday released the much awaited Windows 10 mobile. But it is not released for all the devices and Microsoft also confirms that some devices with hardware limitations will not get Windows 10. So which are the devices to get the Windows 10 Mobile as of now ? You can download Windows Upgrade Advisor from this link. and run the application to check whether the upgrade is available for your device. It is advised to upgrade your device to the latest Windows 8.1 if you have not done it. 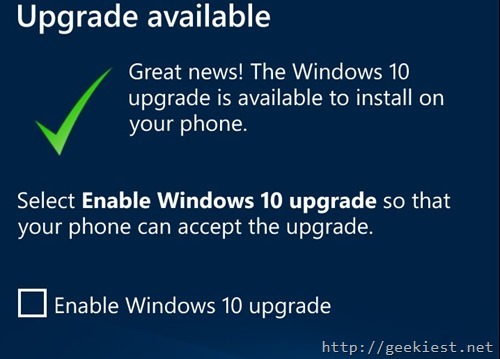 If you see upgrade for your device, select “Enable Windows 10 Upgrade”. Now you can check settings, phone update and check for updates. You do have at least 1.5Gb of Free space. Do you own a phone which is not in the list mentioned above ? You may receive the update later, but if your device have only 512MB or less RAM, you have very less chance (or can say no chance) to get the Windows 10 mobile upgrade. 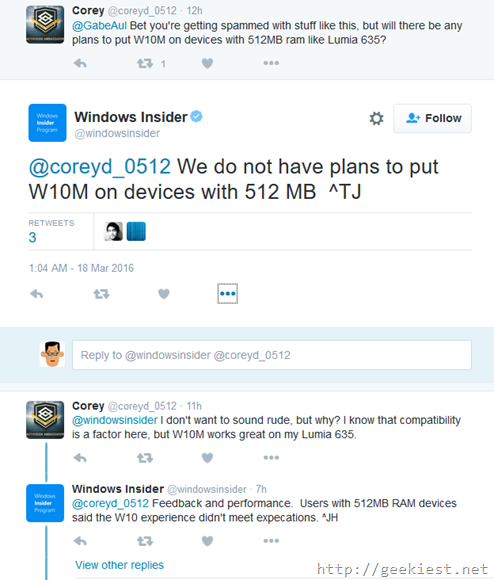 The windows insider twitter account tweeted that “We do not have plans to put W10M on devices with 512 MB” because users with 512Mb RAM devices reported Windows 10 mobile experience didn’t meet expectations. Did you received the upgrade, how was your upgrade process ? we would like to know, leave a comment.